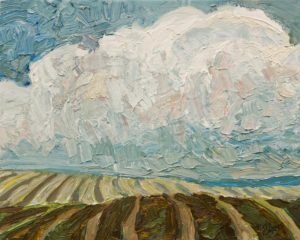 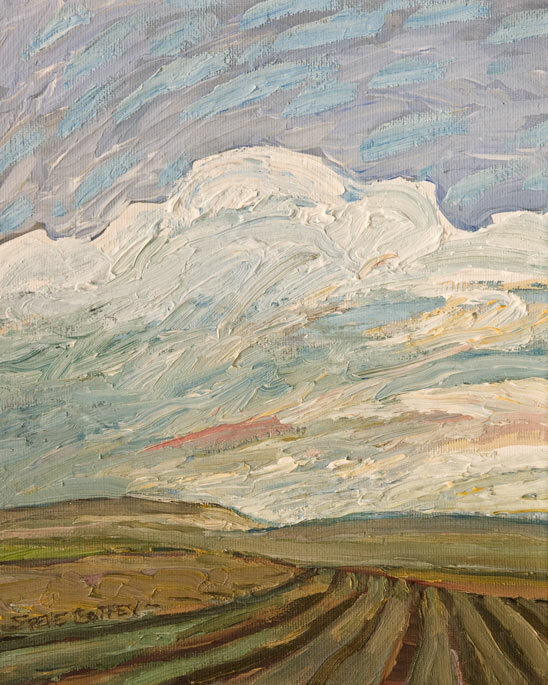 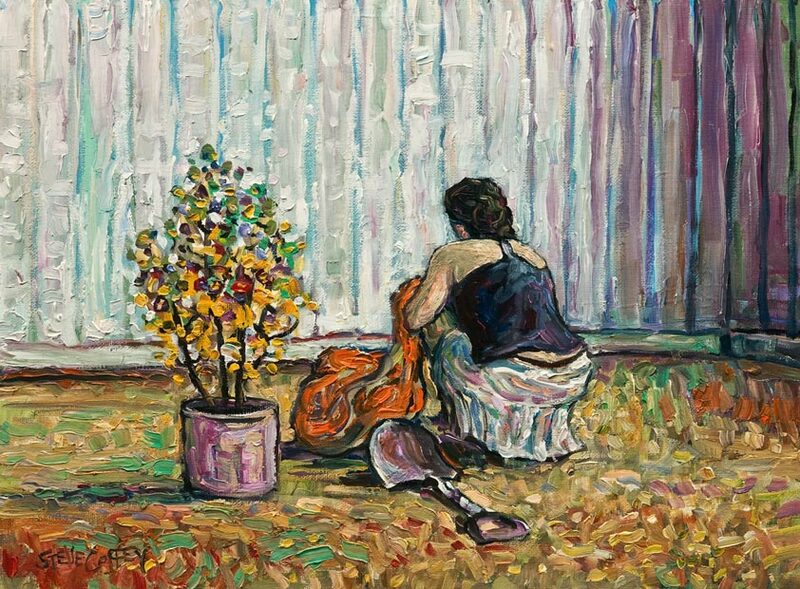 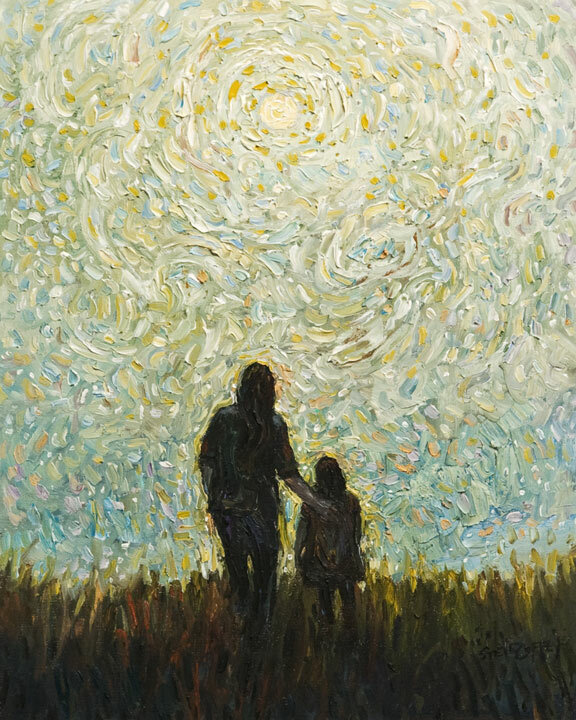 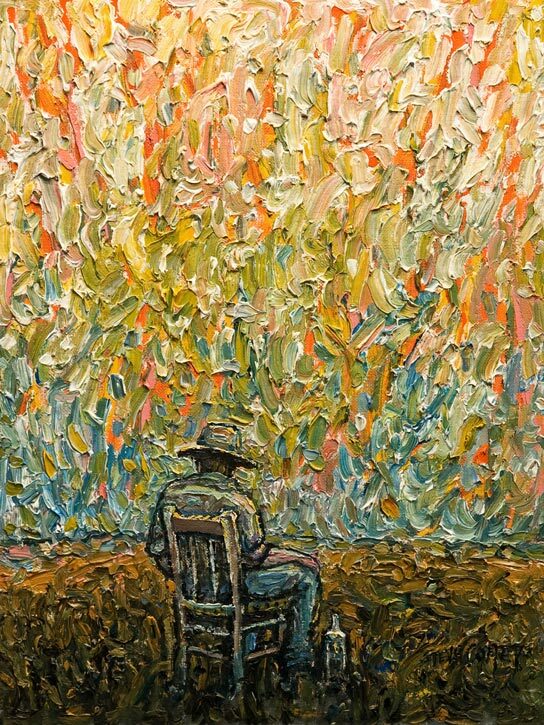 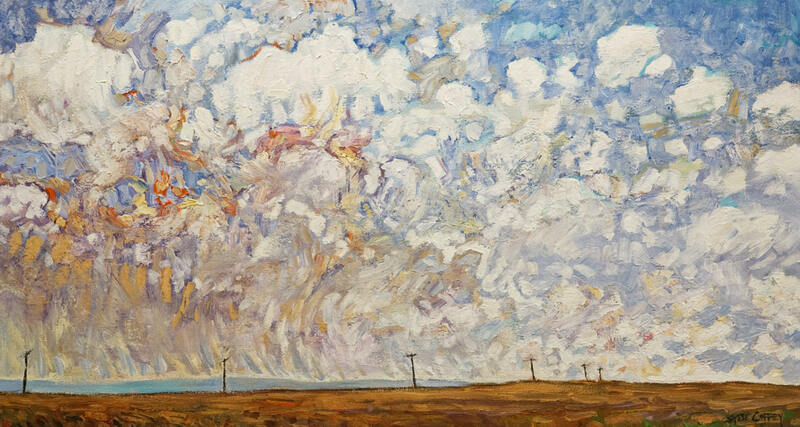 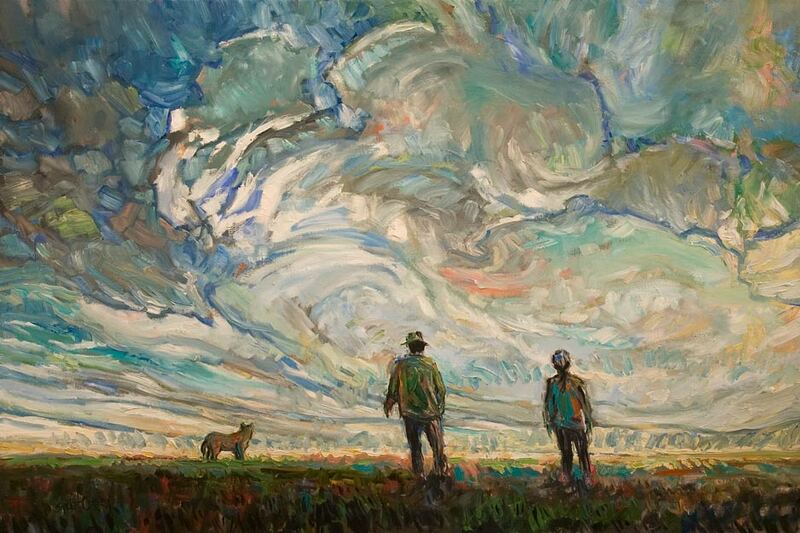 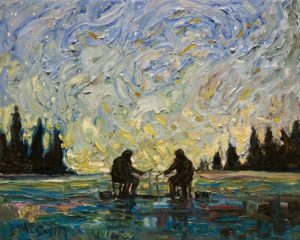 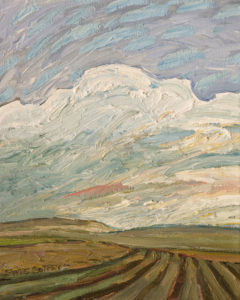 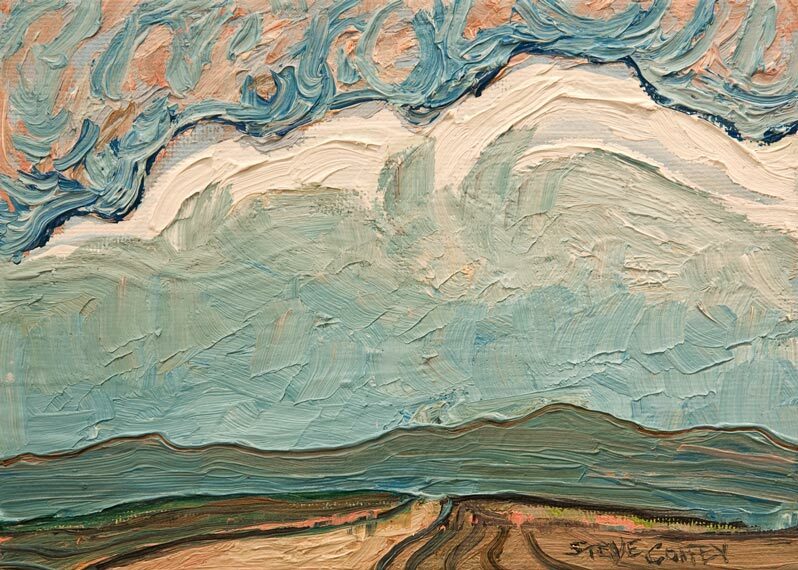 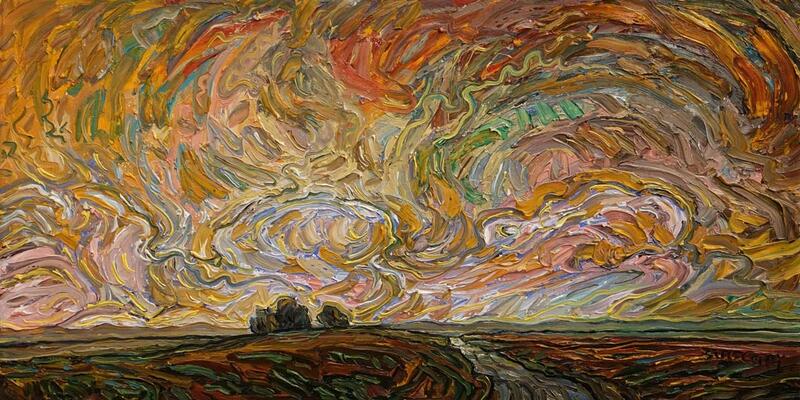 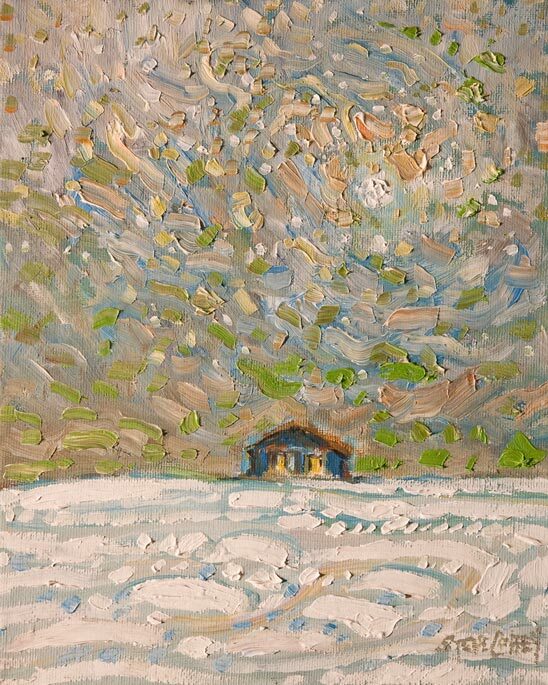 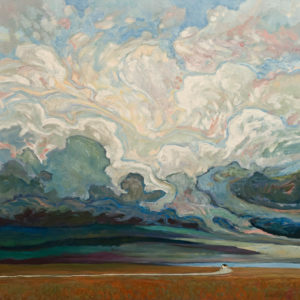 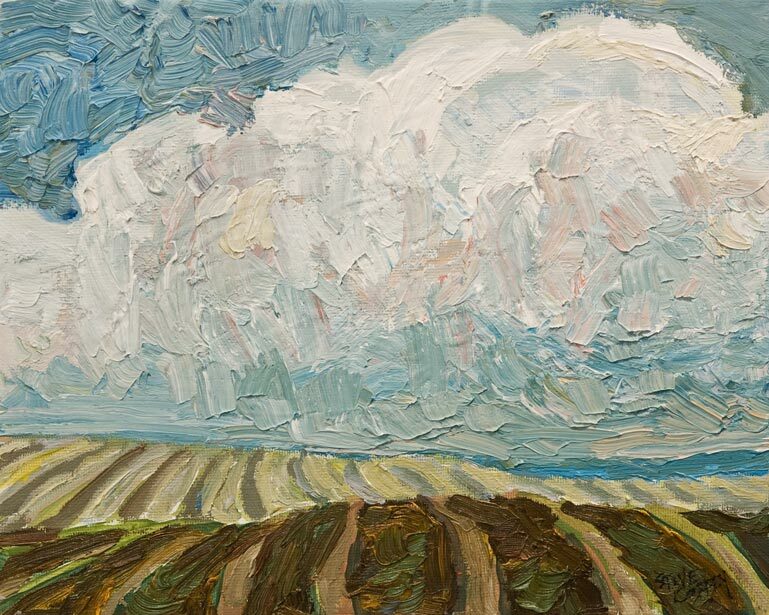 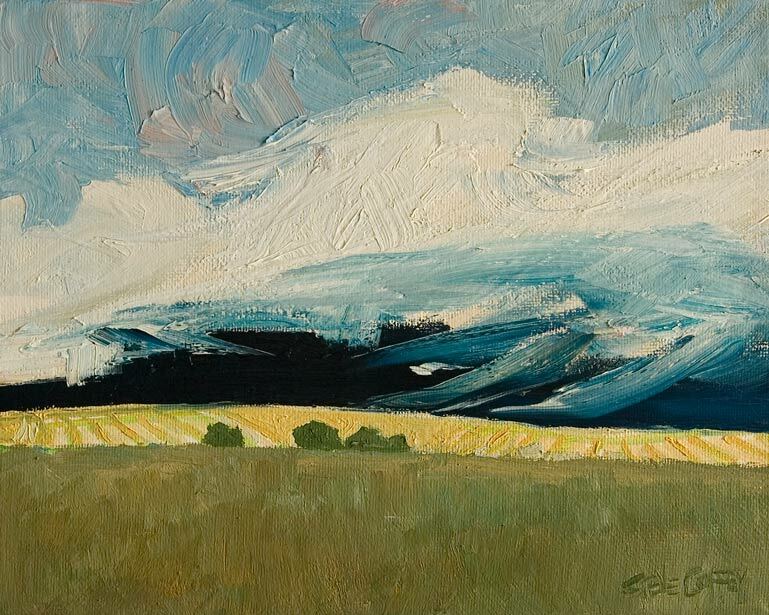 Steve Coffey has been an integral part of the western Canadian art and music scene for many years. He has curated travelling exhibitions, created large-scale public sculptures, taught college, and conducted many workshops and art residencies. His far-flung travels have taken him to places such as London, England and he has exhibited in Poznan City, Poland. 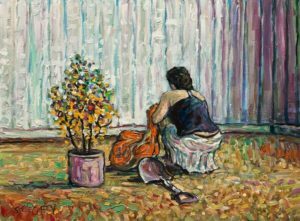 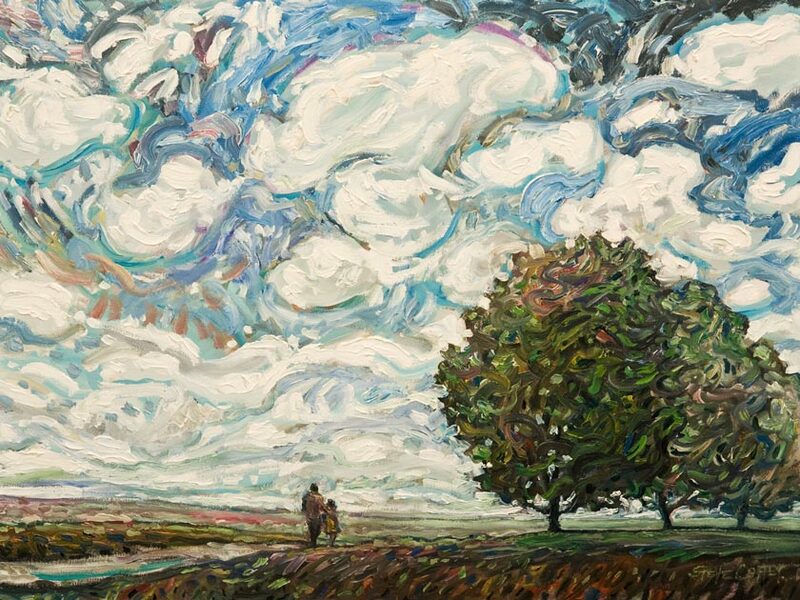 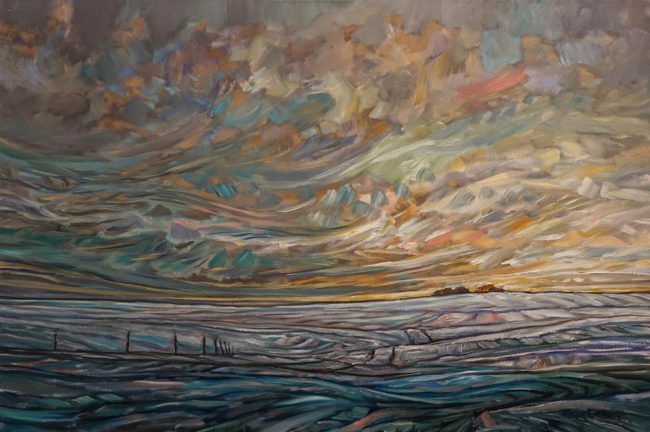 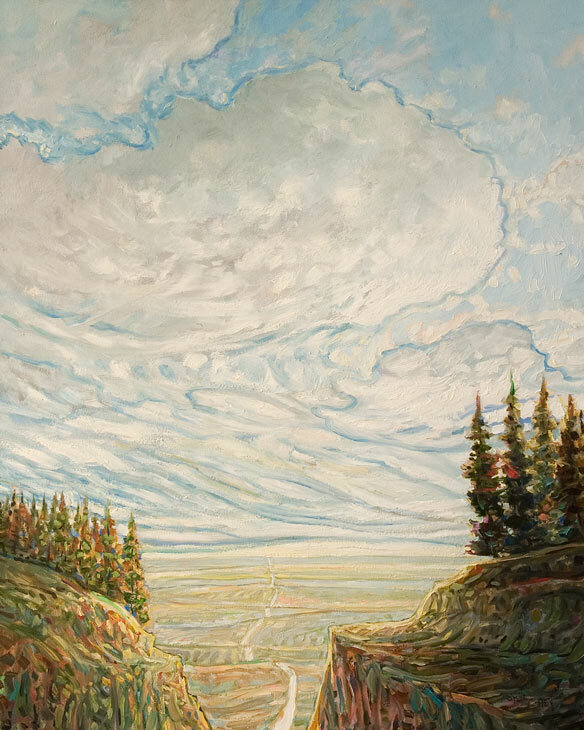 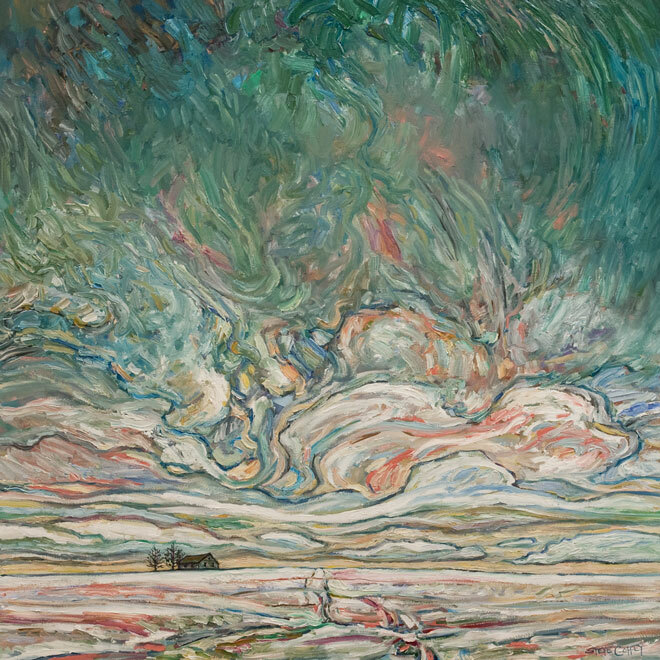 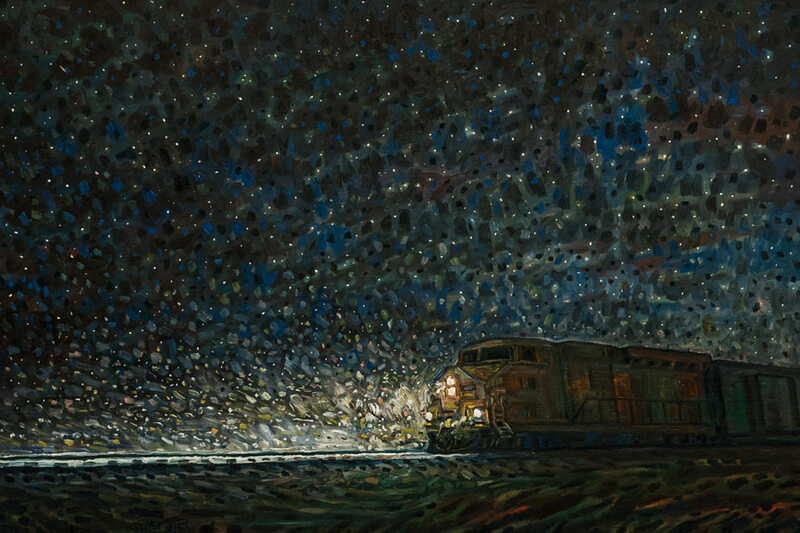 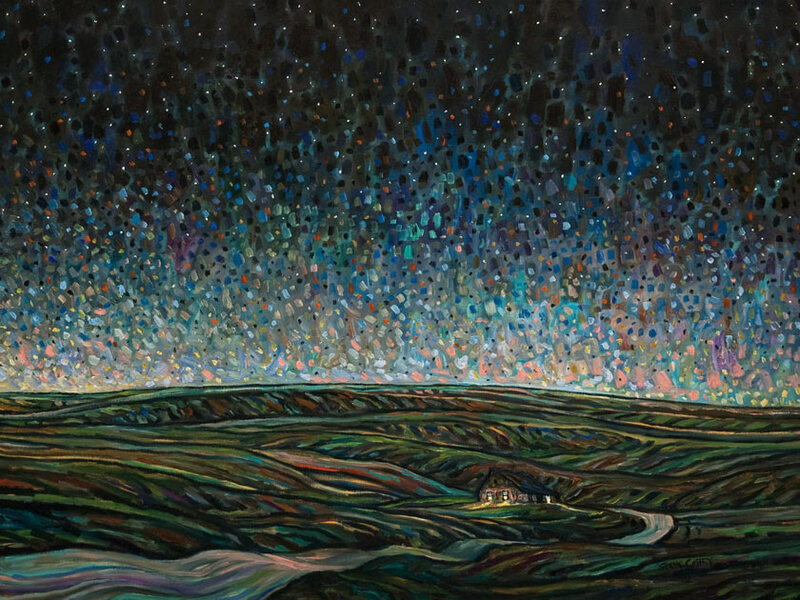 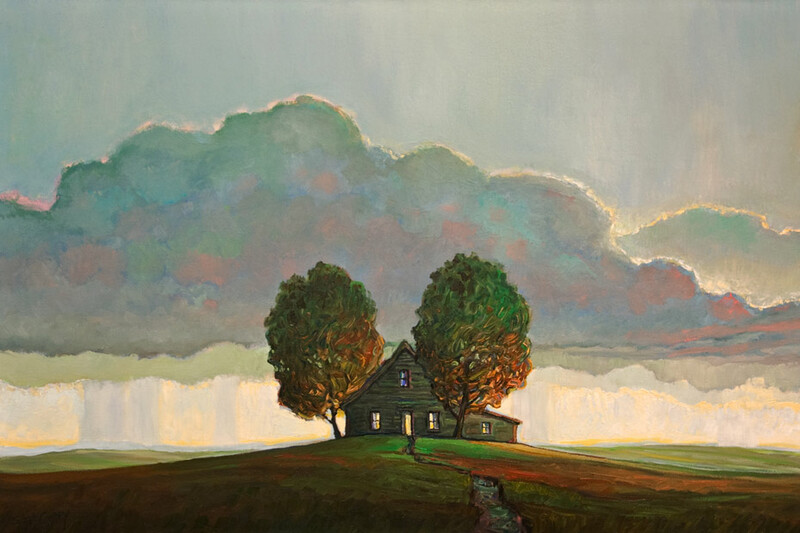 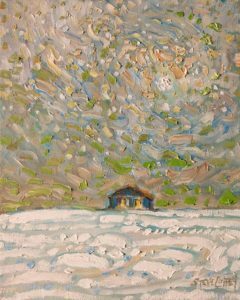 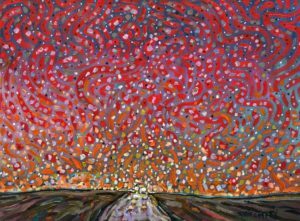 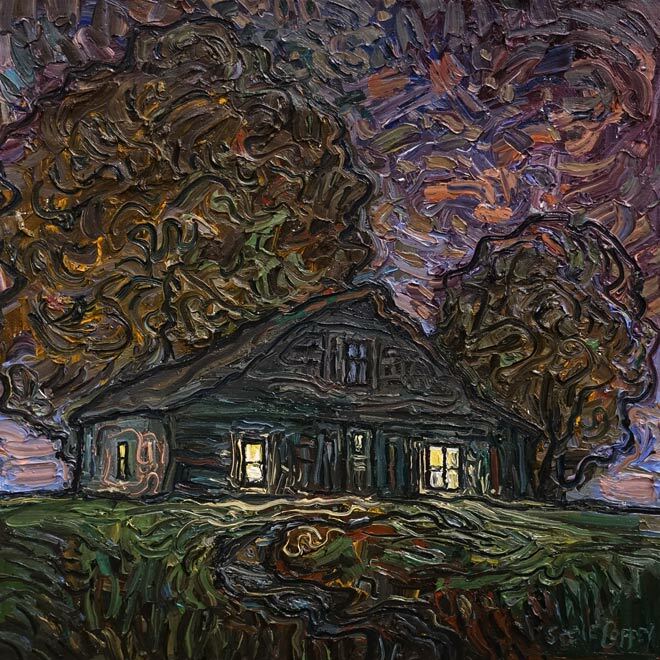 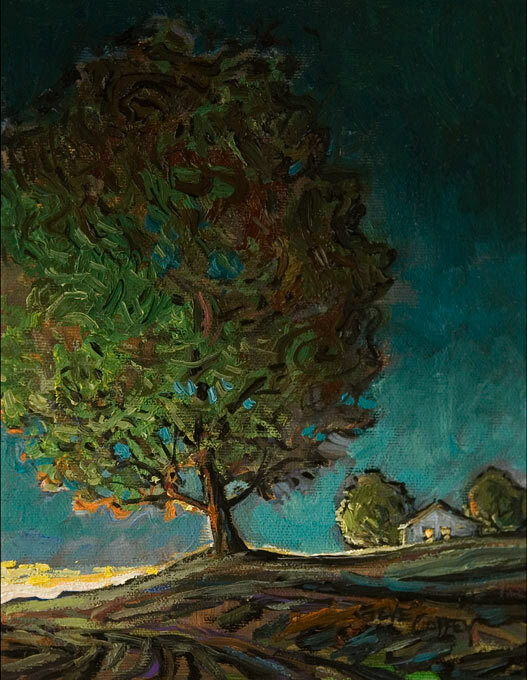 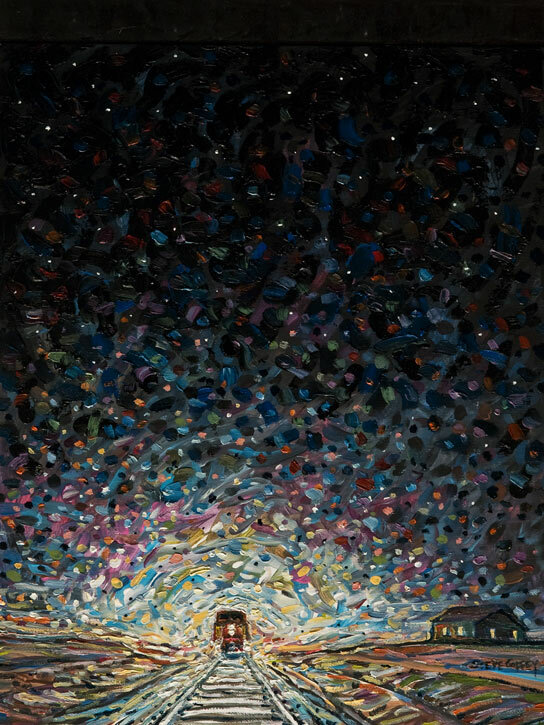 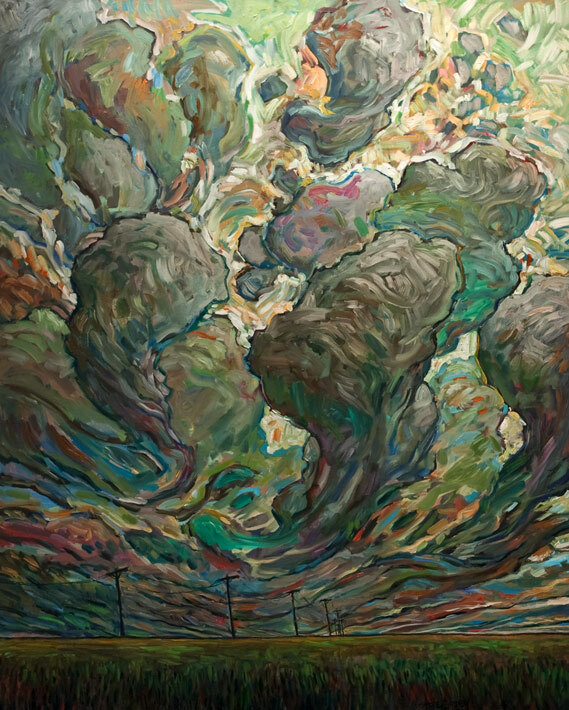 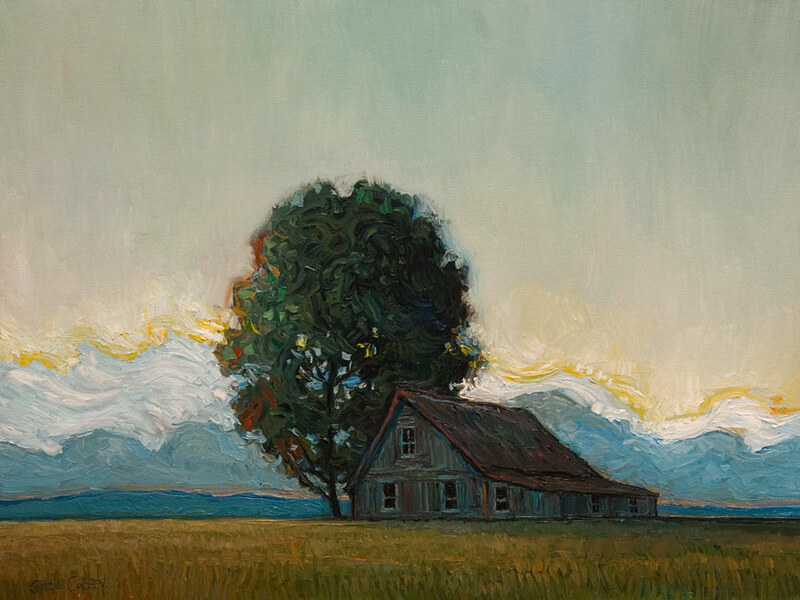 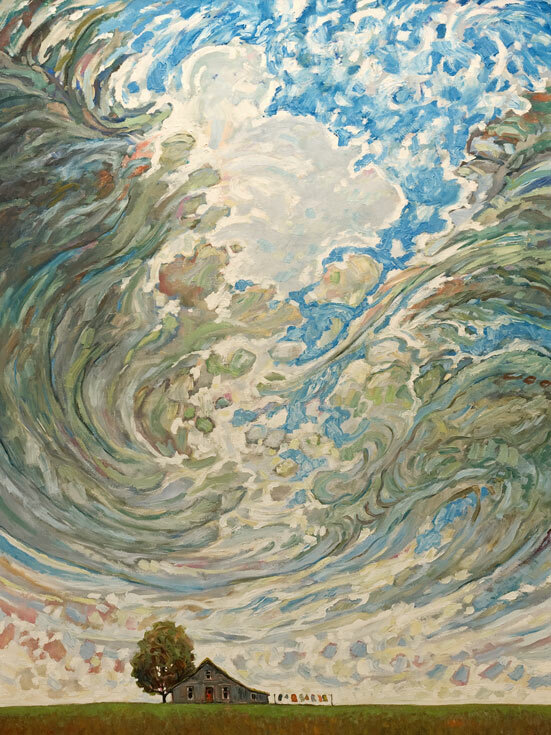 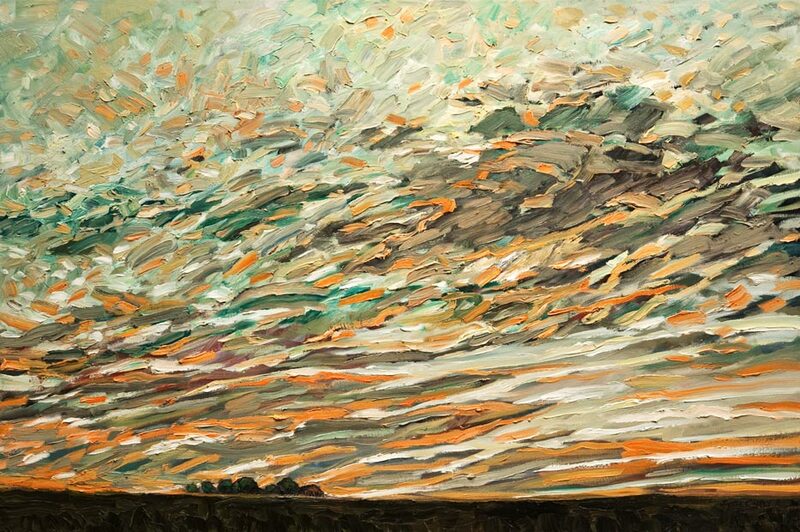 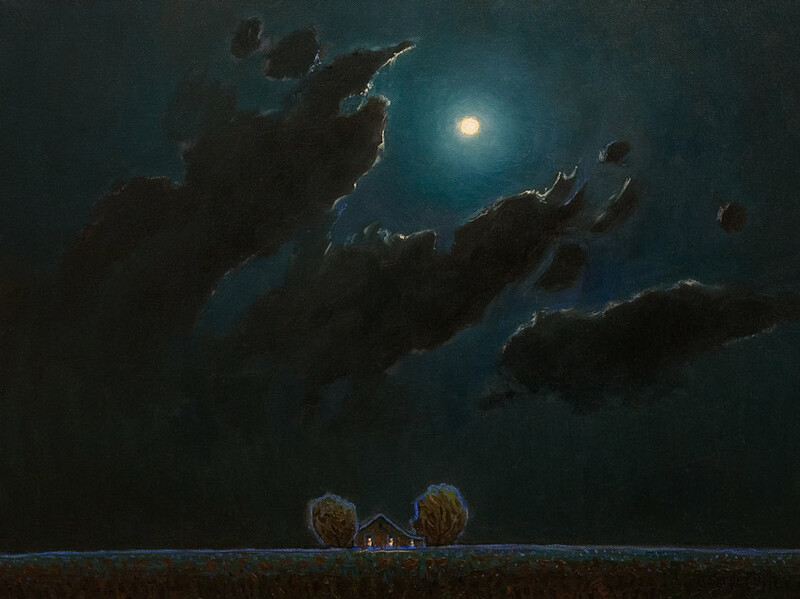 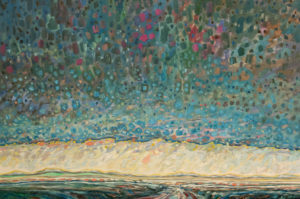 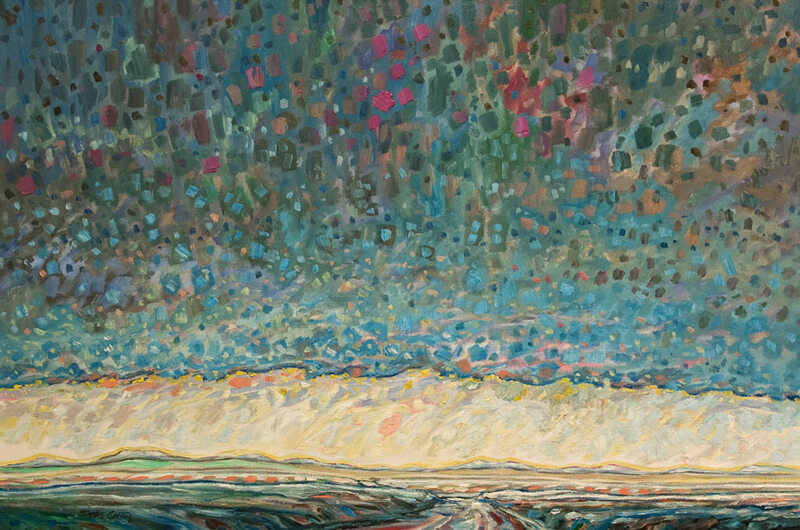 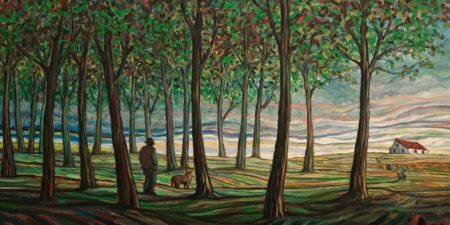 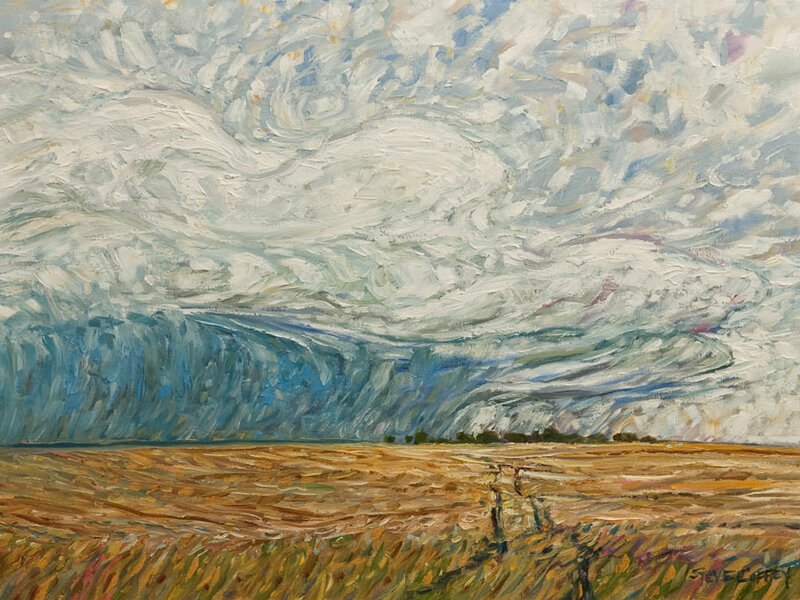 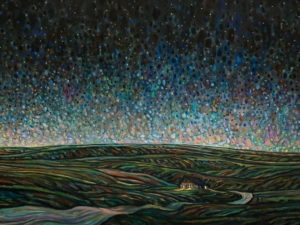 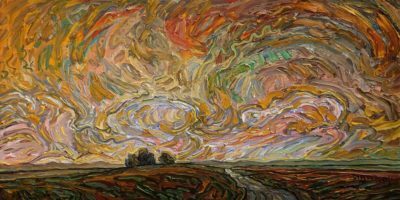 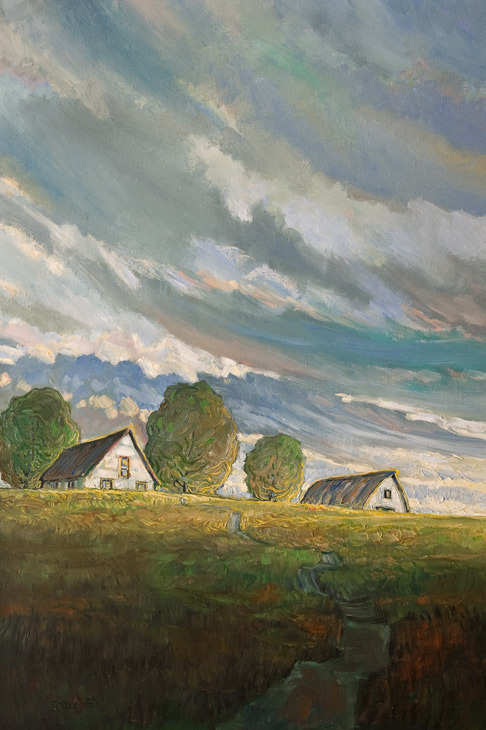 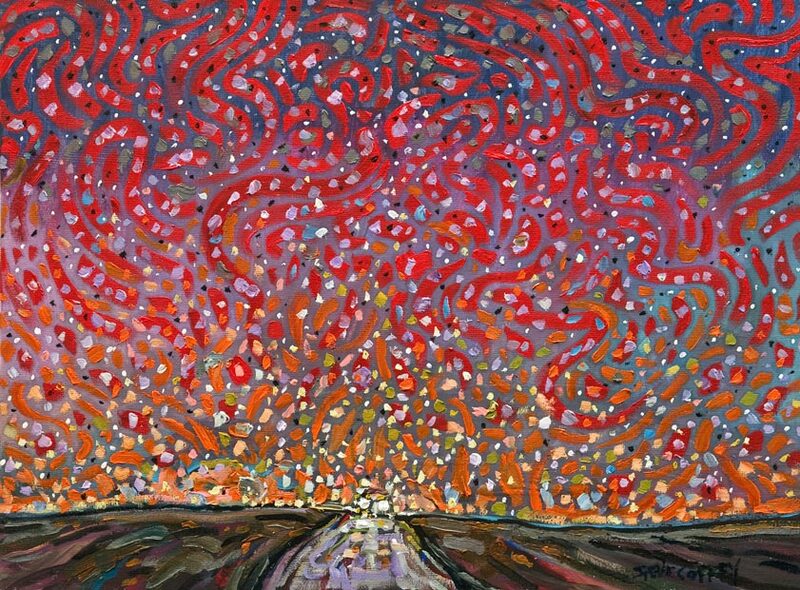 Of the art in these major centers (along with favorites Berlin and Amsterdam), he speaks of being “visually exhausted and spiritually inspired” and he recalls the longing to return to the “intricate nuances and swirling beauty” of the Canadian landscape. 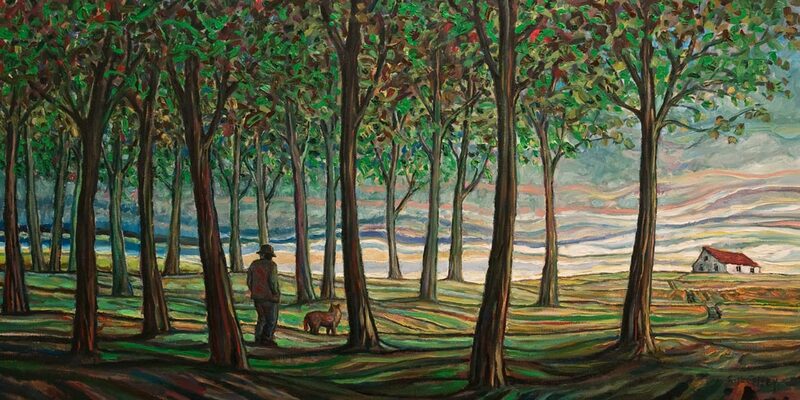 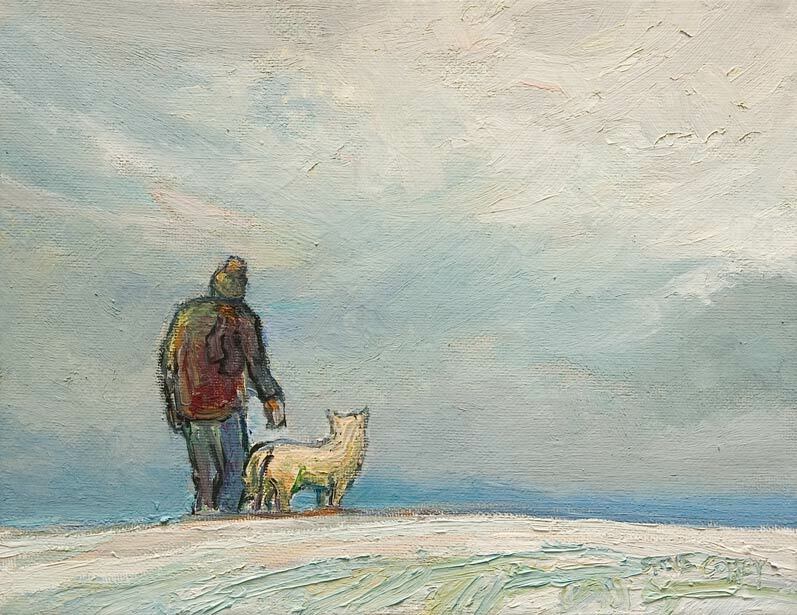 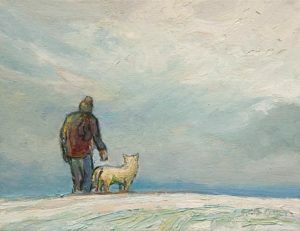 He notes such influences as The Group Of Seven, Emily Carr and Alex Colville to name a few. After finishing his formal training in 1990 (University of Regina, M.F.A.) 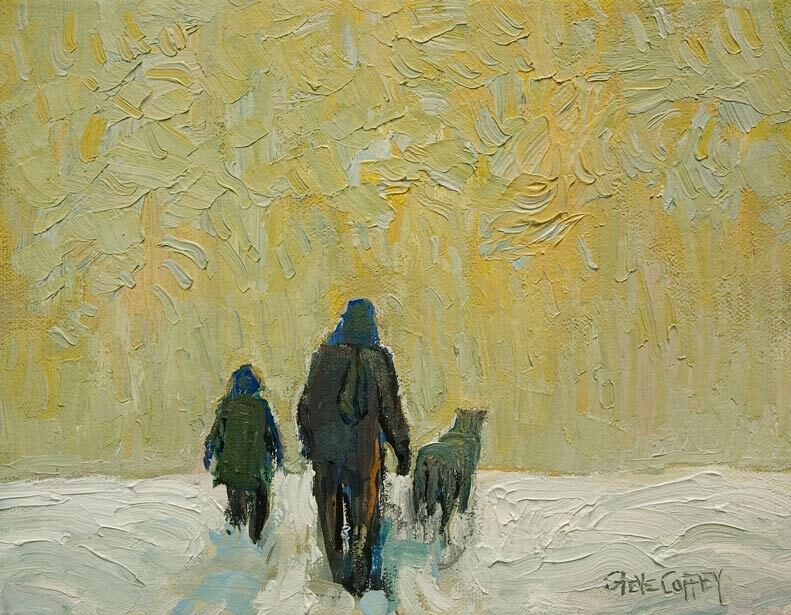 Steve practiced as a metal sculptor in the very formalist setting of Edmonton. 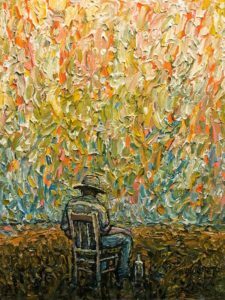 Eventually he gave in to his love of drawing and representation and was seduced by the immediacy and challenges of oil paint. 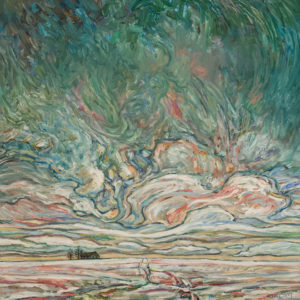 He began exploring the medium full time in 1995. 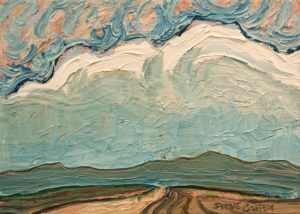 Steve has exhibited extensively and his paintings can be found in numerous private and public collections throughout North America and Europe. 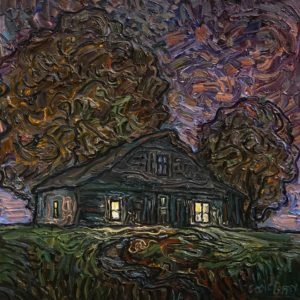 He is also a well-known western Canadian singer-songwriter with a number of recordings that have received critical acclaim. 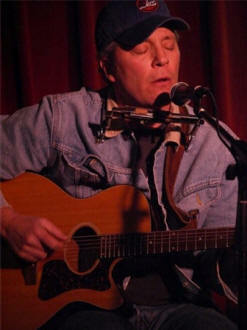 He and his band “The Lokels” perform regularly and can be heard on the radio airwaves from commercial to college to frequencies in between. 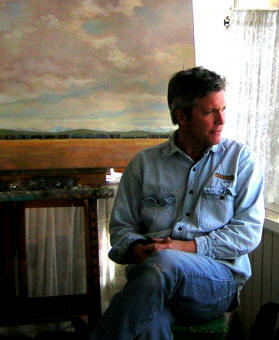 He has also dabbled in films, one of which was purchased by the arts and entertainment channel Bravo! 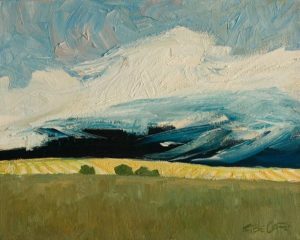 in 2007. 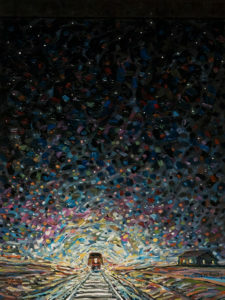 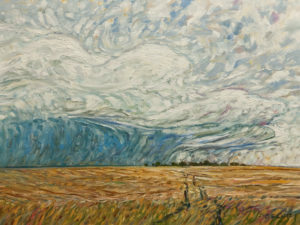 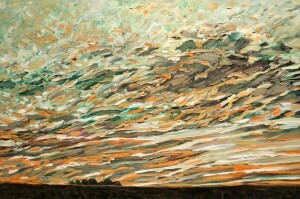 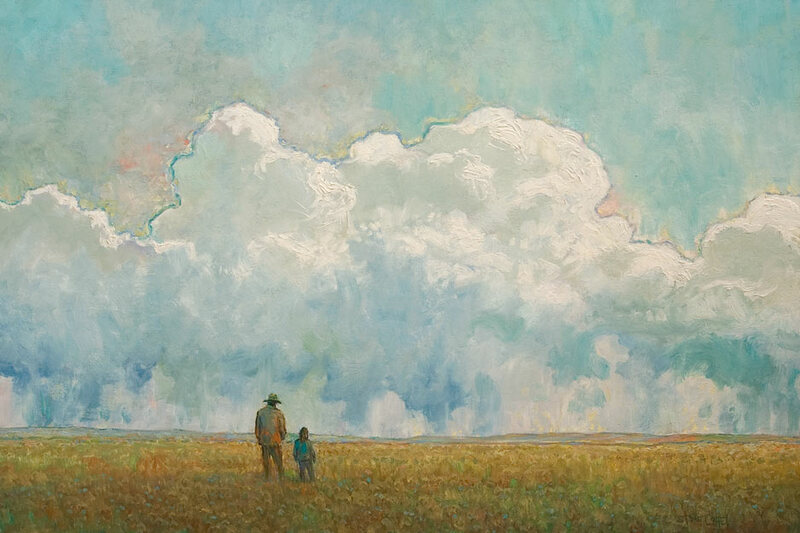 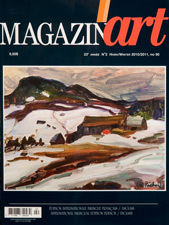 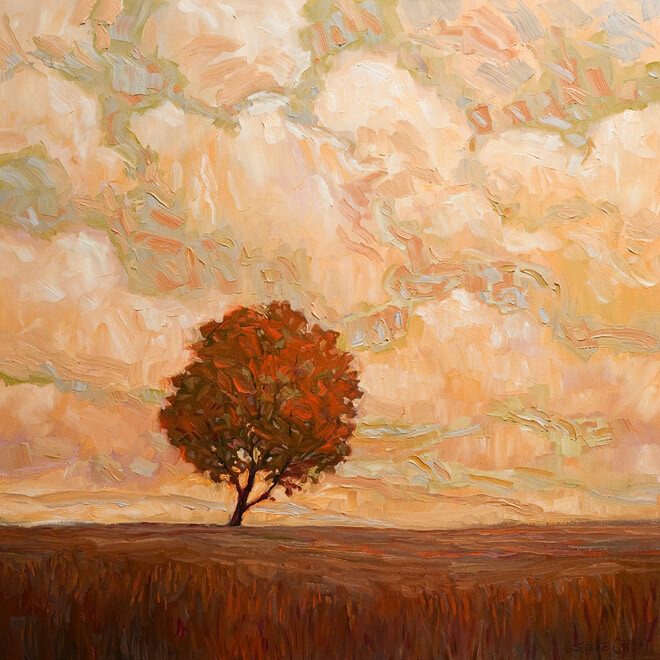 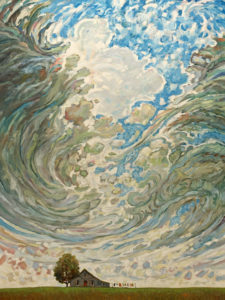 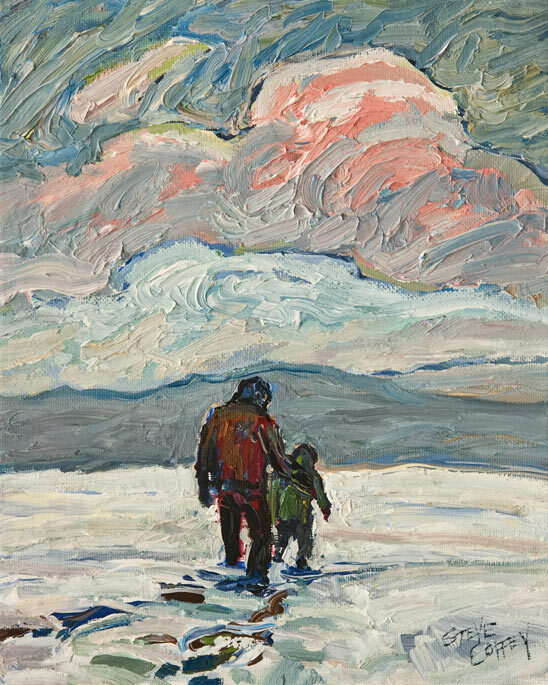 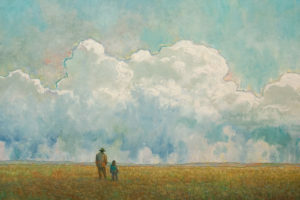 Steve Coffey’s work and story are featured in the Winter 2010/2011 Issue of Magazin Art.